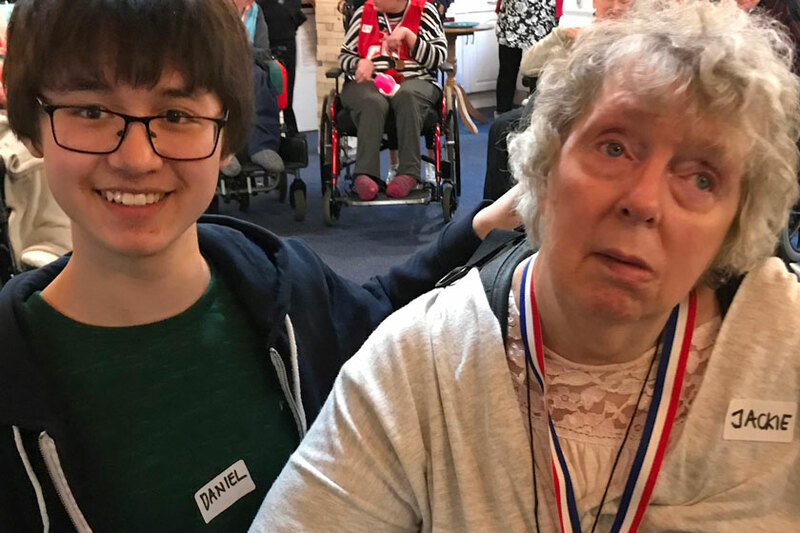 The ‘Hilltop Olympics’ took place at Hilltop House – a Sanctuary Supported Living run service supporting adults with physical disabilities – and saw teams take part in a range of events themed around giant games such as Jenga and Connect 4. One of the main aims of the day was to bring different generations together to raise awareness of disabilities, so the residents were joined by young people who have been taking part in the Duke of Edinburgh’s (DofE) Award scheme, along with their friends and parents. The young people, 13-year-old Daniel Robinson and 14-year-old Dean Hafermann, have been visiting Hilltop House for the past few weeks to read books with the residents and lead on creative activities. 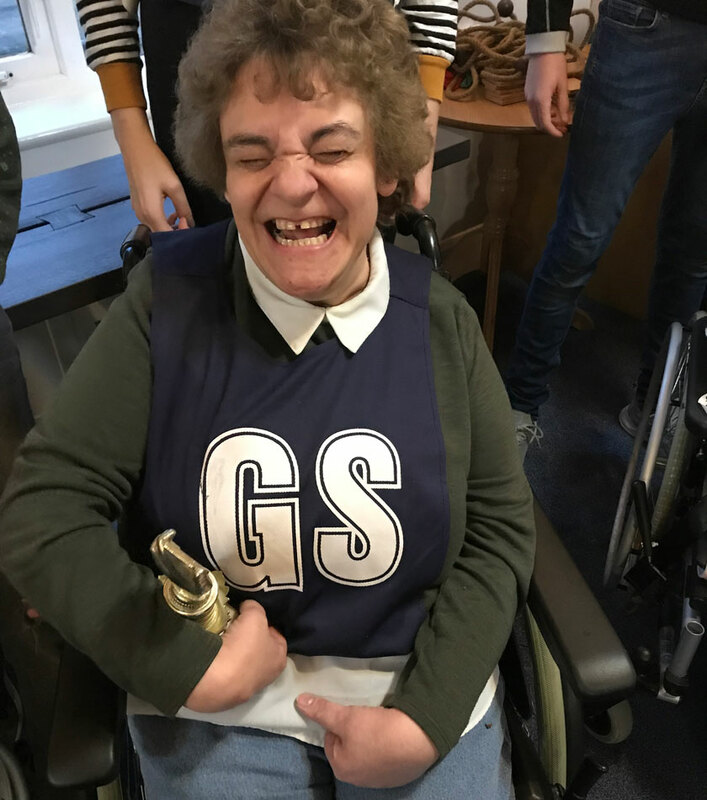 Hilltop House’s Olympic event was a culmination of a month of activities over March to mark Disabled Access Day 2019, which encourages those with disabilities to visit new places and share their stories. Local service manager for Hilltop House, Emma Warren, got involved too and spent a day in a wheelchair to experience life from a different perspective. She commented: “Although I have great communication with our residents, spending a day in a wheelchair gave me a new appreciation for the challenges they can face every day. 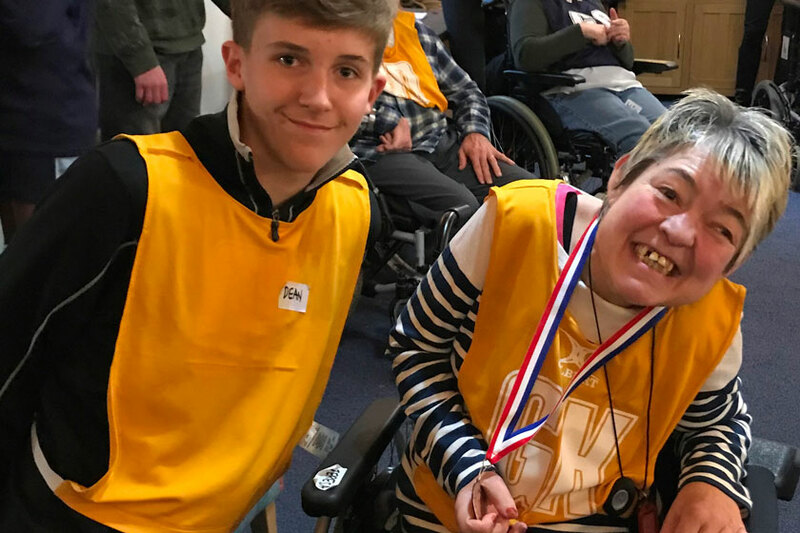 “The whole ethos of Disabled Access Day is about making it easy for disabled people to try new things, and doing that with our young DofE volunteers meant that everyone got to take advantage of new experiences. The whole ethos of Disabled Access Day is about making it easy for disabled people to try new things, and doing that with our young DofE volunteers meant that everyone got to take advantage of new experiences.